Sabrina Trueheart plays Best Video Performance Space on Friday, Apr. 26. The show starts at 8 PM and the cover is a sliding scale of $5-10—pay what you can in that range. She attended Cooperative Arts High School in New Haven where she studied music theory and jazz guitar. Today, she is a student at Fairfield University working towards her bachelor’s degree in music. 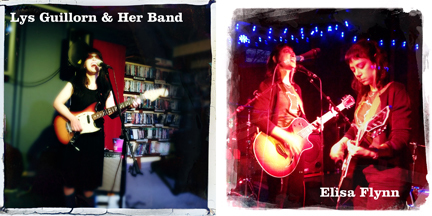 Sabrina’s original music ranges from folk to pop. Her influences include Jewel, Joni Mitchell, Anthony Green, and Lana Del Rey. 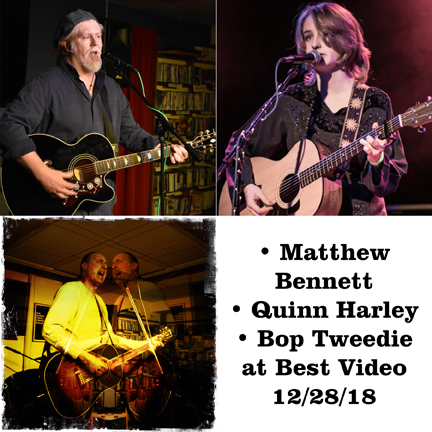 The singer-songwriters Matthew Bennett, Quinn Harley and Bop Tweedie play Best Video Performance Space Friday, Dec. 28. The show starts at 7:30 PM and the cover is $5. Matthew Bennett is a singer songwriter from New Haven CT who has combined blues, folk, rock, and a hint of country into a unique “modern roots” style. He expresses his raw power and funky rhythms in his songs “Back ‘n’ Forth” and “Angles That We Play,” both featured on his EP “Three Steps Forward” and both guaranteed to keep your toes tapping. His lyrics are clear and colorful and his stories are as insightful as they are diverse. On stage, Matthew pays tribute to some of the most iconic singer songwriters of the twentieth century including Bob Dylan, Muddy Waters, Johnny Cash, Robert Johnson, Townes Van Zandt and many more. 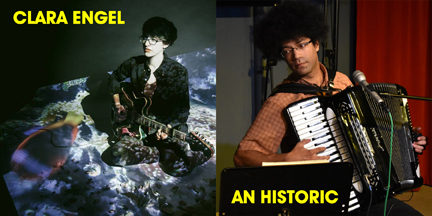 He is a non-apologetic, in-your-face performer who loves to get the whole room grooving! Quinn Harley is an eighteen-year-old indie folk pop singer/songwriter from Bethany, CT. Quinn has been performing and recording original and cover songs since the age of thirteen at venues including Toad’s Place and the International Festival of Arts and Ideas, with the hopes of spreading messages of self-love and acceptance. Her music evokes a myriad of different emotions through ethereal vocals and delicate guitar work, bringing to mind the likes of artists like Daughter and Julien Baker but with a deeper, darker, and more serious tone and a wisdom well beyond the years of its 18-year old creator. With pure and mature artistry, Quinn brings a haunting and healing experience to the stage. Her lyrics are mournful, evocative of a dark past, yet inspirational. She released her debut EP, By The Pines, on October 16th, 2016. Bop Tweedie has played in a lot of New Haven bands—23 Hello, Media Circus, Chronicles Of DAISY, Bop Tweedie and the Days—but now describes himself (on his musician Facebook page) as “your typical singer/songwriter type.” These days he is performing his rockesque songs as a solo acoustic guitar singer/songwriter. His songs are “vaguely autobiographical.” Tweedie’s influences are all over the place and always have been. “Classical, opera, rock, jazz, world music—chances are if it’s out there, I’ve listened to it,” he says. 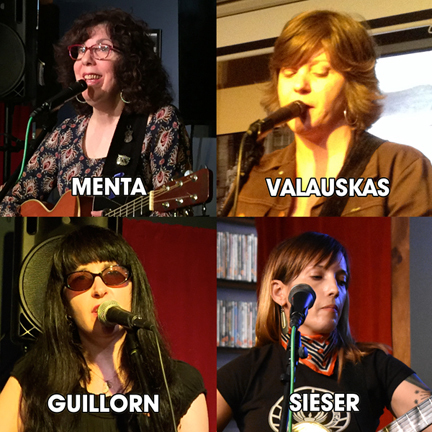 Four women singer-songwriters perform in the round at Best Video Performance Space on Thursday, Nov. 1. The featured artists are Raquel Vidal (Hudson Valley), Ponybird (New Haven), Melissa McClain (New Haven) and Hamden’s Meggie Czepiel, who is making her debut. The show starts at 7:30 PM and the cover is $5. 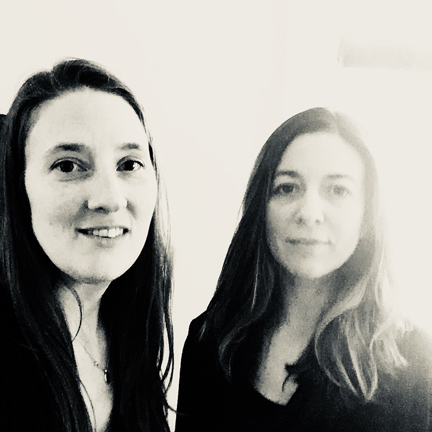 Raquel Vidal is lead singer/songwriter of the band, Diamond Hotel and songwriting retreat coordinator for Writing a Song That Matters With Dar Williams. 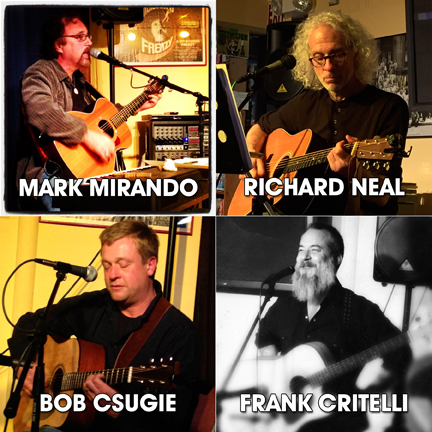 Diamond Hotel is an original four-piece indie folk-rock-noir band hailing from the Hudson Valley, NY. They play an eclectic array of harmony-infused swampy rhythms, smoldering ballads and gritty rockers written by lead singer, Raquel Vidal. 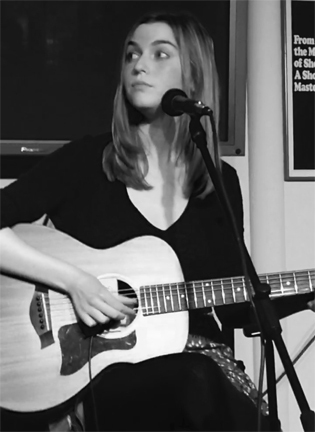 Meggie Czepiel is an emerging songwriter from the local area. Her songs display well-crafted scenes that capture the magic and emotional themes akin to an intuitive poet growing up and marveling over the oddities of time. She has been writing songs in her head for as long as she can remember and on paper since she was 13. Meggie works with Ponybird and will soon work with other young female songwriters, in the hopes of creating a supportive, inspiring community for girls like her. Melissa McClain’s songs waver across the line between folk and pop: They showcase lyrical craft and thoughtfulness coupled with strong, soaring melodies. Her work is sometimes witty and socially conscious; often poetic and literature-inspired; and always captivatingly honest.